Before the telehealth market took off, people could only speculate about the positive and negative effects it might have on healthcare at large. Now that it's more established, it's possible to dive into some of the positive and negative side effects telehealth caused. Here are six of them. Statistics indicate that from 2018 to 2025, the telehealth market will show a 15.7 percent combined annual growth rate (CAGR). However, not all providers have warmed up to the idea of treating patients from a distance. A poll from Deloitte that asked for responses from patients and doctors about telehealth found that 33 percent of physicians were concerned about medical mistakes associated with virtual healthcare. Also, 28 percent of patients who did not opt for virtual visits said concerns about the quality of care caused their hesitation. Indeed, telehealth providers never touch the patients. Even those who use devices that allow doctors to hear a heartbeat or get a closer look at a body part must instruct patients how to use them, and there's the possibility of inaccuracy. People who need mental health treatment often don't receive it promptly or at all because they feel too embarrassed to speak in person with a professional about their struggles, or they may have issues like depression or anxiety that make it difficult or impossible to leave the house. Complications also can result if a person does not have a car or live in an area with transit routes that go near mental health facilities. Telehealth solves these issues and others, making advocates say that it reduces care gaps for underserved populations that need mental health interventions. At the University of Arizona's College of Nursing, students complete a six-subject telehealth module that teaches how to assess mental health patients through telehealth means to guide interventions. Additionally, statistics show that 70 percent of people in the U.S. with behavioral health issues have a medical comorbidity. Since telehealth services typically help people deal with a variety of mental and physical ailments, a person with anxiety who needs an adjustment for medication that treats high cholesterol could potentially address both needs at once or at least use the same service for both things, for example. People often talk about the digital divide as they compare and contrast people who have access to technology versus those who do not. Since telemedicine is based on technology, critics wonder if the increased telehealth options have a limiting effect on people who do not have reliable internet access or are not tech-savvy. Although individuals recognize that telemedicine could be life-saving for people who live significant distances from hospitals or other health facilities, they point out that the digital divide remains vast. For a start, 124 million Americans don't have the option of subscribing to broadband packages that offer the speeds required for telemedicine services. The lack of speedy internet access is especially prominent in rural areas. Federal plans are in place to bring internet access to more people in isolated areas, but for now, telemedicine makes it even more evident that not having internet access restricts opportunities. Despite the improvements made by the Affordable Care Act (ACA), many people still find their health coverage needs remain unmet. Some of them turn to alternative plans that incorporate healthcare cost sharing. They're legally exempt from the ACA due to being defined as faith-based. Alternative plans provide numerous benefits for the people who choose them, including, in some cases, the option to access telemedicine without a co-pay. Some telemedicine services also offer per-visit flat rates for uninsured people, allowing those individuals to budget for care without becoming stressed by anticipated unmanageable costs. Overviews of the benefits of telehealth often discuss how the industry saves time for doctors and patients alike. But, the results collected across several years for a study published in 2017 found that's not necessarily true. 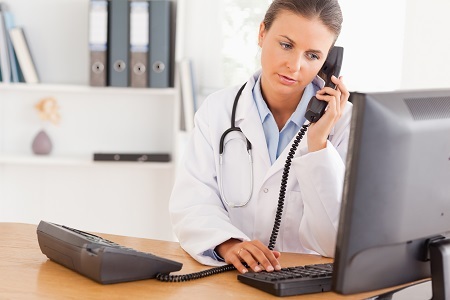 Specifically, the investigation discovered telemedicine providers dealt with an increase in office visits once they started providing virtual care, resulting in 6 percent more office visits and 15 percent fewer patients seen overall. The researchers suggested when telemedicine patients overreact to minor symptoms or are unable to describe their ailments clearly, doctors may feel obligated to schedule office visits with them. They propose that pre-visit questionnaires could make telehealth visits more efficient and potentially reduce the number of office visits a person must make. One of the difficult things about working in emergency medicine is that providers typically can't assess cases accurately based on the information received from dispatchers. Often, they bring ambulances to patients in situations that don't require them, which could result in patients in life-threatening scenarios waiting longer than necessary for available ambulances. The Houston Fire Department assessed the worthiness of adding a telehealth component to some emergency calls handled by their first responders. When patients had primary-care-related complaints like stomach pain or a wound, an emergency medicine physician interviewed them. If both the patient and doctor agreed that the situation did not constitute an emergency, they would either get paid taxi transportation to a primary care office or emergency room — in cases when a condition would be difficult to address in a primary care setting — when needed. In cases where the patient did not need transit, they would get care instructions via telemedicine. The study showed that the emergency medicine crews associated with the telemedicine patients returned to service 44 minutes faster than those treated through traditional means. Telemedicine has already caused benefits for countless people who access it. However, like anything else, it has downsides. This list illustrates how it's necessary to take a balanced approach when evaluating the effects of telemedicine. Kayla Matthews is a MedTech writer whose work has appeared on HIT Consultant, Medical Economics and HITECH Answers, among other industry publications. To read more from Kayla, please connect with her on LinkedIn, or visit her personal tech blog at https://productivitybytes.com.